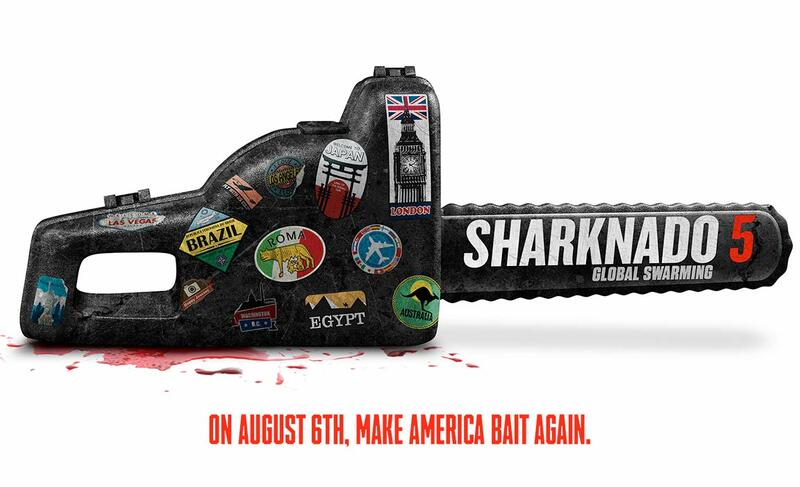 Poster #1 for Sharknado 5: Global Swarming, which was released on August 6, 2017. The film, starring Ian Ziering, Tara Reid, Cassandra Scerbo, Vivica A. Fox, Mark McGrath and many more, currently has a total of one poster available.